Central America-Guatemala-Guatemala City Guatemala certainly surprised me. It was quite packed with tourists from Antigua to Tikal. 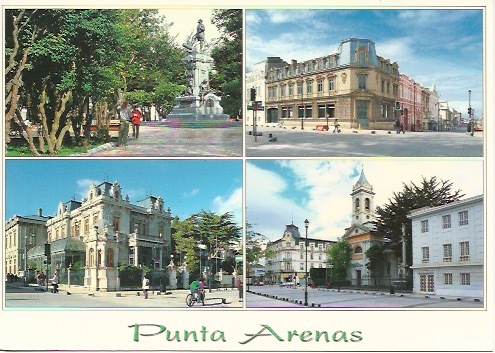 Guatemala City itself was only interesting with the mail square and the former Presidential Palace. Was able to do a tour inside An impressive building inside and out. For the last 3 years there has been no working Postal service in Guatemala. That is about to change later this year as it is now getting sorted out. 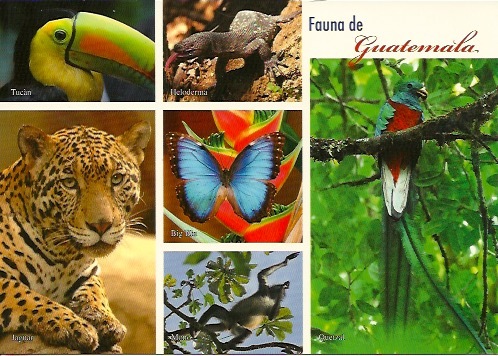 My philatelic friend David from Guatemala City brought me around . We did manage to visit the Post office which at this time is just accepting parcels. However they agreed to let me postmark this card. So a very rare postmark at this time. As such this card did not go through the mail. 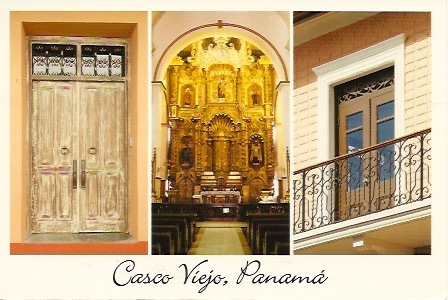 Central America-Panama-Panama City It was great visiting the old part of Panama City. A surprise gem. Very walkable area and nice just to people watch. What surprised me the most was the lack of English spoken bearing in mind the Panama Canal which was an area run and owned by the USA for a time. Unusual for me , I did not post this card at the Post Office in Panama City. To tell you it was a disaster at one of the worst operated Post Offices in the World I have ever been to . But more on that later. I posted this card in Penonome in the Cocole area of Panama which is on the Pacific side. This Post Office was efficient and they had stamps. No choice but stamps yes. 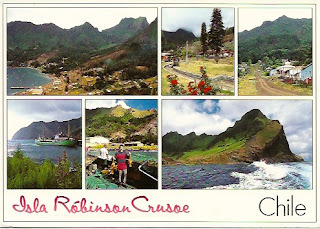 Pacific Ocean-Juan Fernandez Islands-Robinson Crusoe Island-San Juan Bautisa What a fantastic island to visit. It had taken me a few years to plan this.. A few years ago I found it difficult to book the flight from Santiago and did not bother. Now you can book online and everything has got much easier to organise. Well it was sure worth the wait. On arrival the sun was up and the sky was blue a perfect day. More beautiful then I had ever imagined. Really loved my stay here.. 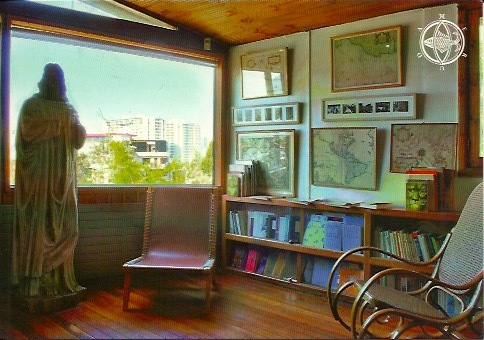 The Post Office was in a shipping container !! First time ever to see that.. The Post Office Manager was so very helpful and look at the magic cancellation I got..
South America-Chile-Santiago de Chile Visited here one early morning to the former home of Pablo Neruda the famous Chilean poet. I had seen the movie last year about his life. Wonderful house full or art and style. The house is now a museum and they have a shop were I bought this card. 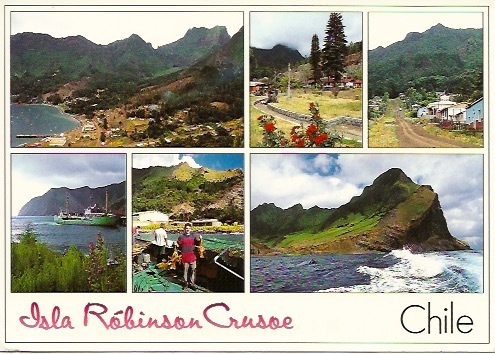 Two stamps featuring tourism. 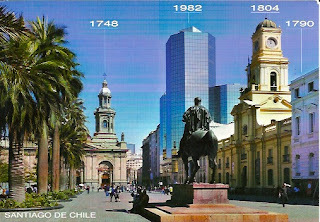 Postmark of the main Post Office in Santiago at Plaza de Armas . South America-Chile-Santiago de Chile This card is showing the Plaza de Armas the main square in Santiago . You cant see it here but the Post Office is on the right and blocked by the statue. Took a hop on hop off bus and enjoyed the city. The Post office was open on the Saturday when I visited . But the Philatelic office was closed as only open 5 days a week. Still the counter staff were helpful in letting me select stamps from the stock book. The Post office itself is beautiful from the outside and is also nice to visit inside. On display in the main area was a selection of stamps relating to the current Pope. South America-Chile-Punta Arenas The gateway city in southern Chile to Patagonia . I was here 25 years ago on a cruise and did not remember much. Stayed right in the centre. Very busy with tourists . Visited the main Post Office in the city. They kindly brought me behind the counter and showed me what stamps they had in the book. Quite a good selection which included miniature sheets.